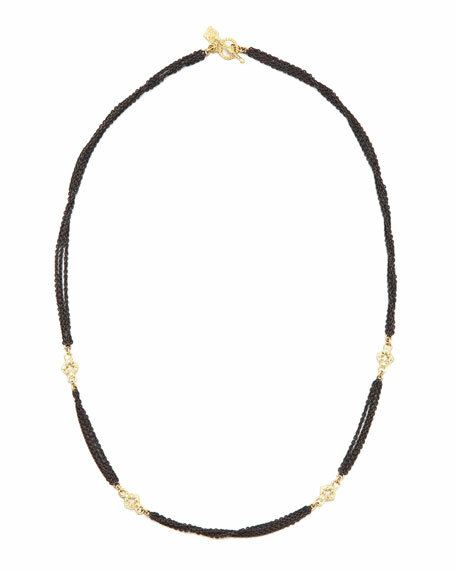 The dance of dark and lightkeep things in balance with a gold and silver Armenta necklace. Multiple oxidized sterling silver chains. 18-karat yellow gold quatrefoil stations. Round-cut champagne diamonds, 0.19 total carat weight. Toggle clasp with key design.